The stunning bathroom of the Palacio Ramalhete, Lisbon, Portugal. The living quarters of the Palacio Ramalhete, Lisbon, Portugal. One of the bedrooms of the Palacio Ramalhete, Lisbon, Portugal. The exterior of the Palacio Ramalhete, Lisbon, Portugal. 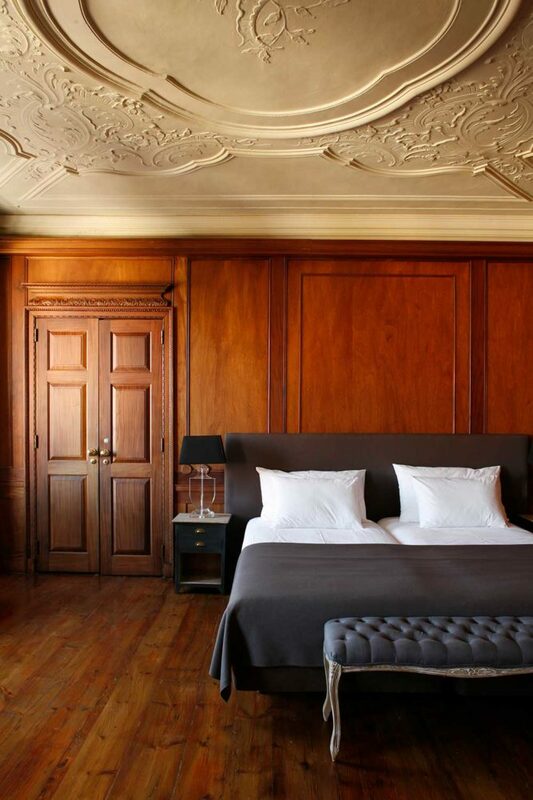 Staying in an old urban palace is the most elegant way to spend a weekend in Lisbon, finds Susan Gough Henly. When our taxi delivers us to the Palacio Ramalhete in the heart of Lisbon, we’re not sure if we have the correct address. There’s no grand hotel entrance and it takes us a while to find the small sign and buzzer to ring. It is nothing if not discreet and feels more like staying in the home of a wealthy family than a boutique hotel: dating back to the 18th century, it was built as an urban palace. There’s a click and we push open the heavy wooden door into a cool stone entrance area. As we lug our bags up the large steps a friendly young woman comes down to give us a hand. We deal with formalities at the small elegant reception desk before she takes us up to the Dove Room on the second floor, telling us it’s her favourite – and we soon see why. Expansive and airy, it features polished wooden floorboards and hand-painted Portuguese blue-and-white tiles. 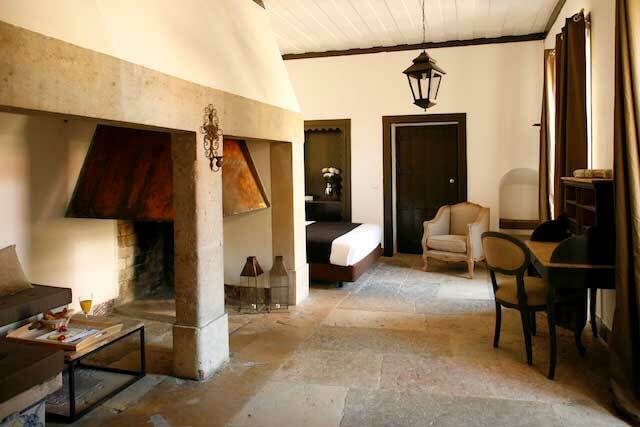 There’s a comfy king-size bed, stylish couch and coffee table as well as a fireplace and desk. 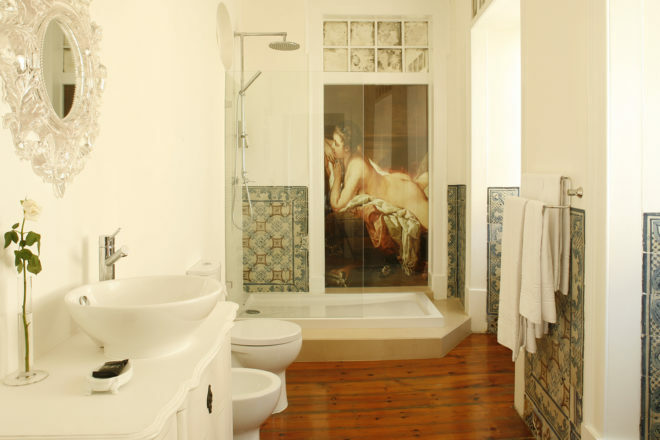 Floor-to-ceiling windows offer peeks of the Tagus River while the narrow bathroom has more antique tiles and a gorgeous painting of a voluptuous young woman on the shower screen. It’s a hot day and we’ve been rushing around Lisbon, so we spend the afternoon relaxing beside the bijou pool on the rooftop deck. At dusk, we enjoy sundowners on another fragrant terrace, which is draped with bougainvillea and potted citrus trees. After a sublime sleep in, there’s juice and coffee, meats and cheeses and a bevy of Portuguese pastries to enjoy either in the breakfast room (which converts to a bar at night) or outside in several different courtyard nooks. That’s one of the great charms of Palacio Ramalhete. There are so many serene public spaces, including three beautifully appointed lounge rooms with couches that beg for you to sink into them and enjoy the excellent selection of books and magazines, just like in the home of a well-travelled friend. A real charmer chock-full of old-school Portuguese style, with many interesting spaces to enjoy and a rooftop pool that’s a boon in summer. 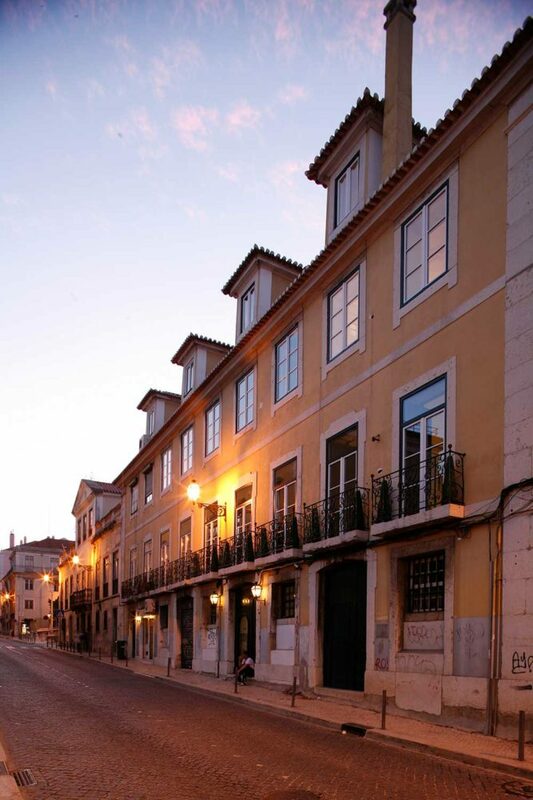 LOCATION: 8 / 10 The hotel is in the quiet, untouristy Janelas Verdes district, not far from the Tagus River. It’s a little out of the way of the main Lisbon attractions in Chiado, Bairro Alto and Alfama. STYLE/CHARACTER: 9 / 10 It feels like you are staying in an elegant home, which isn’t too far from the truth. SERVICE: 9 / 10 Friendly and professional bilingual staff are happy to make restaurant bookings and deliver drinks to the poolside terrace. ROOMS: 9 / 10 Each of the 16 bedrooms is beautifully distinctive, from the expansive Dove Room, converted from the family chapel, to the Old Kitchen Suite with its walk-in fireplace. There are also more modern sun-drenched pool suites. FOOD AND DRINK: 7 / 10 A cosy bar area serves evening drinks and converts to a breakfast room with a generous buffet. Simple salads and burgers are also offered in the evenings. VALUE FOR MONEY: 9 / 10 We paid $375 for the Dove Room: and it delivered a lot of bang for the buck.